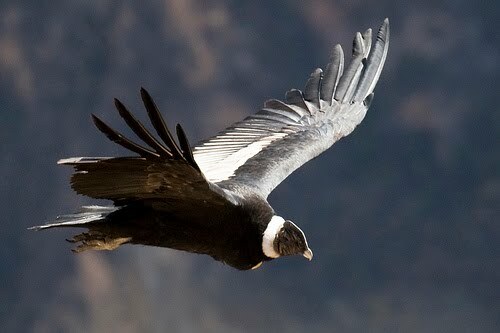 If you want to see a real, wild Andean Condor Vultur gryphus then you will need to travel to South America, in particular to the high Andes in Peru, Chile and Argentina. They mainly eat carrion such as that of medium-sized mammals, and will soar for hours over great distances in search of it. These huge birds are the largest flying bird in South America with a wingspan of 10-12 feet.